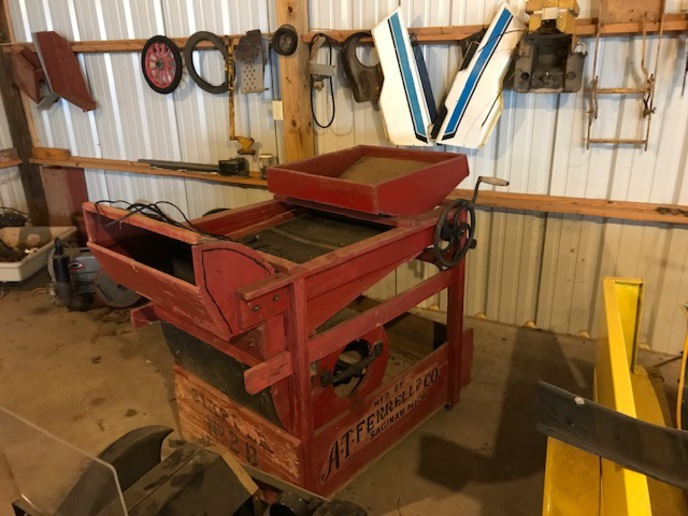 I'm trying to find the Approximate year of this AT Ferrell Model 2B seed cleaner and grain clipper. 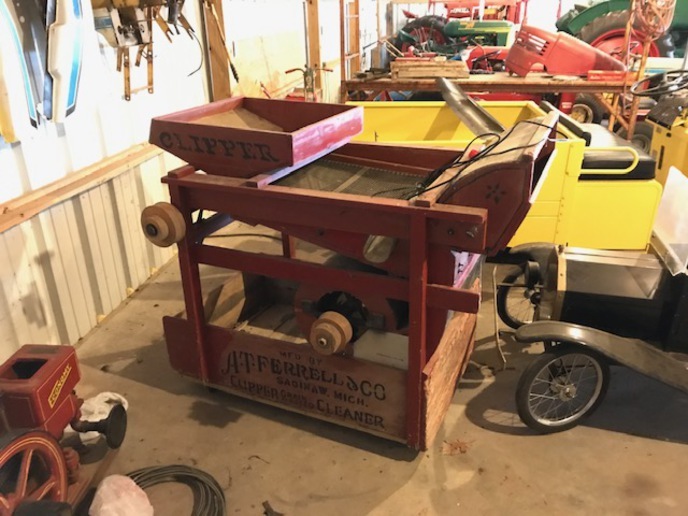 I know that in the 1930's they installed motors on them so mine is from the 1880's to the 1920's since it is hand crank powered. I called the Ferrell Company (still in business and still has the belts and screens for it), and the guy told me there is no serial number or way that he would know how to date it other than if it has a motor or not. Just wondering if any of you have one or know if the lettering changed or something else changed in certain years. Doesn't have to be exact but I would like to know an approximate date. Can't help with the year, but got one here with an electric motor on it.